Communist China Corrupt? No, You Didn’t Say! WASHINGTON — Chinese officials are now cracking down on widespread corruption that is related to extravagant building projects and the like. 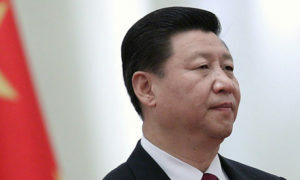 Reuters reports  that the Communist Party of China, under the new leadership of Premier Xi Jinping, is suspending current building projects after scandals have eroded the public’s confidence in the ruling party. China will suspend the construction of new official buildings for five years in order to save face. The state media agency, Xinhua, said, that the decision was “made in accordance with the country’s frugality campaign”. This comes at a time where domestic scandals where officials have siphoned off government funds for themselves and not for the people have hurt the government’s standing among the Chinese. This measure has rarely worked in the past and most likely will not work this time around.